The Cayman Islands are a true paradise. There’s nothing like waking up to swaying palms and blue skies nearly every day! Between your hours of fun in the sun, you are sure to get hungry. Treat yourself to some fine dining on Grand Cayman! If you’re looking for fine dining on Grand Cayman or other restaurants, take a look at our complimentary Vacation Guide. We know that planning trips can be challenging, so we created a handpicked list of local recommendations to save you from hours of research. This free guide has helped countless travelers plan their getaways, so get your copy today! 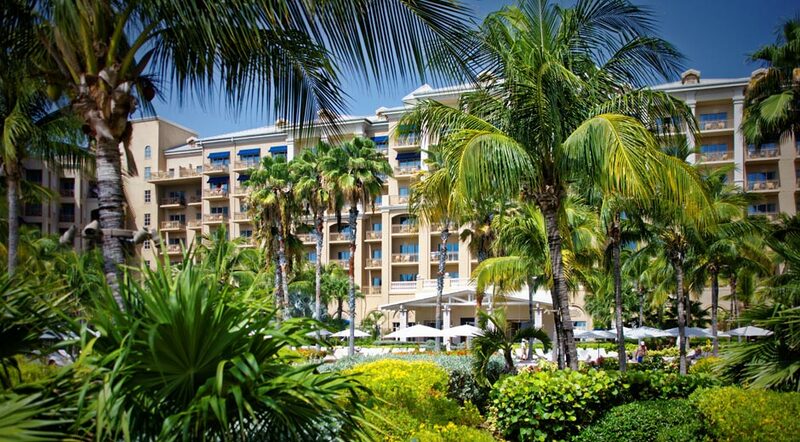 An award-winning restaurant is located right at The Ritz-Carlton Grand Cayman. 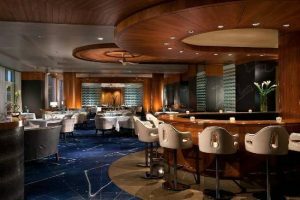 As the Caribbean’s only AAA Five Diamond restaurant, Blue by Eric Ripert is an outstanding choice for fine dining on Grand Cayman. The menu here revolves around the fresh-caught bounty of the Caribbean sea. Choose from signature tasting menus and a-la-carte dining, then pair it with one of the 700 fine wines they have from around the world. Abacus is located in the heart of Camana Bay. Ever since 2007, they have been serving farm-to-table cuisine inspired by the Caribbean. They are open for both lunch and dinner, and they offer a happy hour as well! Choose to sit inside with their unique decor or outside shaded by trees and a cool harbor breeze. Like many restaurants that offer fine dining on Grand Cayman, Agua keeps with the Caymanian cooking theme. However, they give each dish an international twist. You’ll find both Peruvian and Italian specialties featured, each with miraculous presentation. Its central location in Seven Mile Beach makes it a perfect spot to visit during your stay at The Residences Seven Mile Beach in Grand Cayman! You’ve never dined anywhere with an atmosphere like Calypso Grill. Bright, primary colors cover the walls, giving it a very Caribbean atmosphere. While the decor is on the more casual side of fine dining on Grand Cayman, the food is some of the best you’ll experience in the area. You can never go wrong with their seafood; most of it has been caught just off the adjacent dock! If you’re not up for surf, other delicious menu items include escargot bourguignonne and beef carpaccio. Not only do you deserve to experience the best fine dining on Grand Cayman, you deserve to stay in the best accommodations possible. 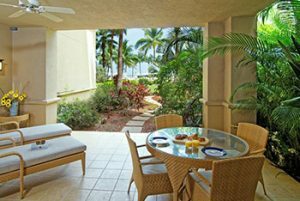 The Residences Seven Mile Beach will remind you that you are in paradise every second of your stay. Enjoy our unmatched amenities and services plus a private entrance, concierge, bellman, and more. Begin planning your trip by browsing through our luxurious properties. Choose your condo based on size and location; whether you are looking for an ocean view or one you can walk straight out of onto the sand, we can accommodate you. It’s time to plan the getaway of a lifetime.